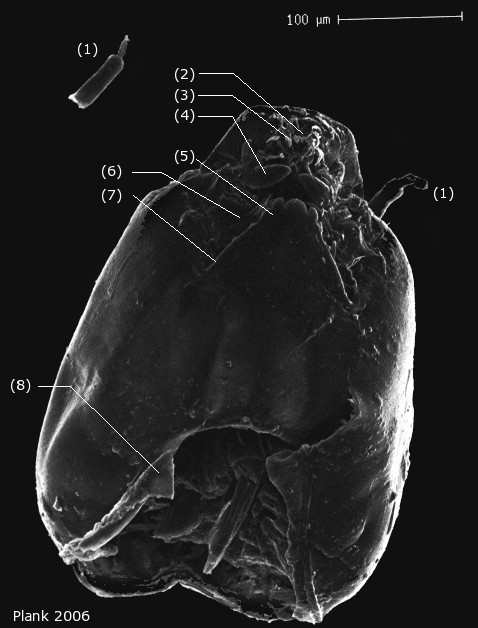 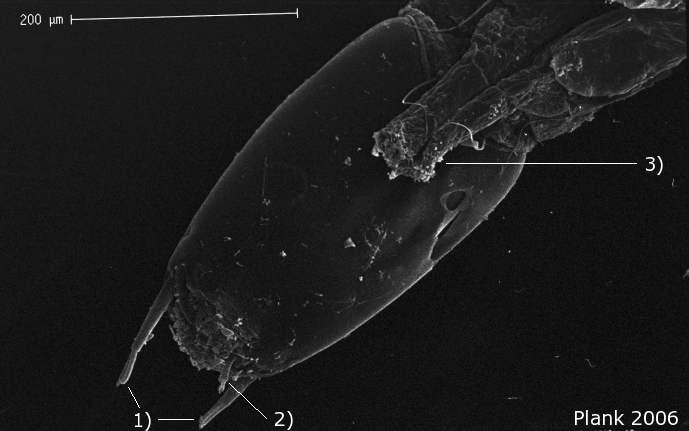 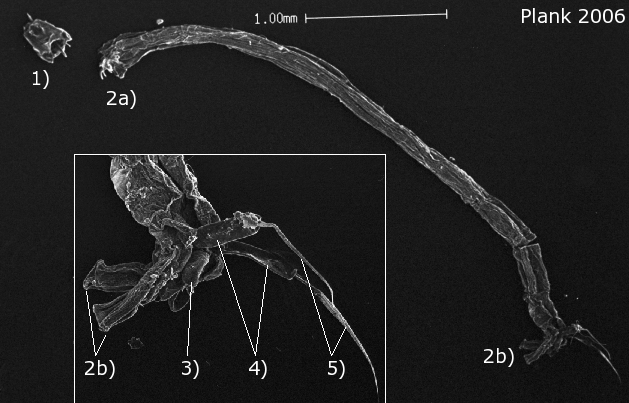 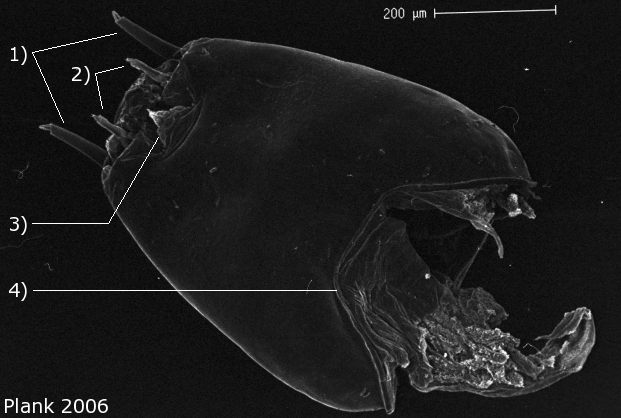 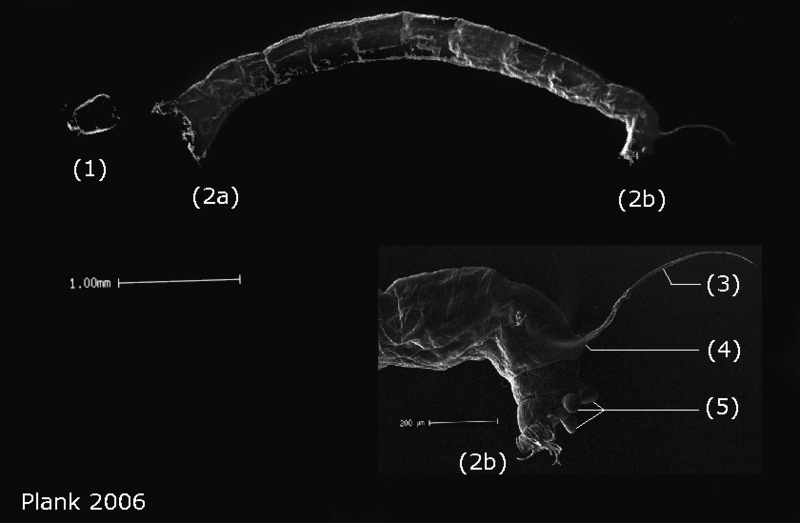 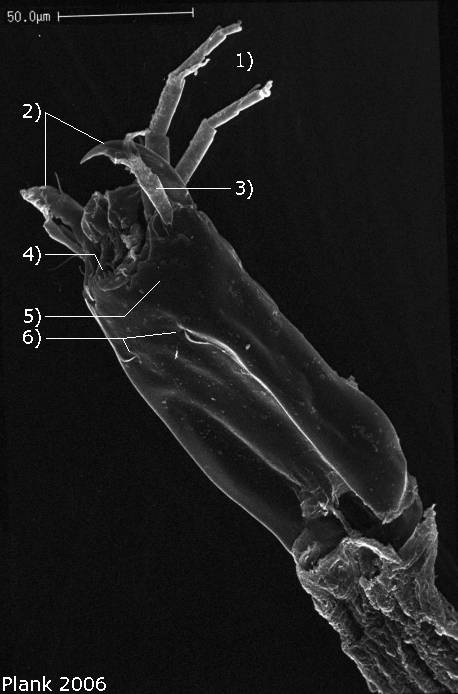 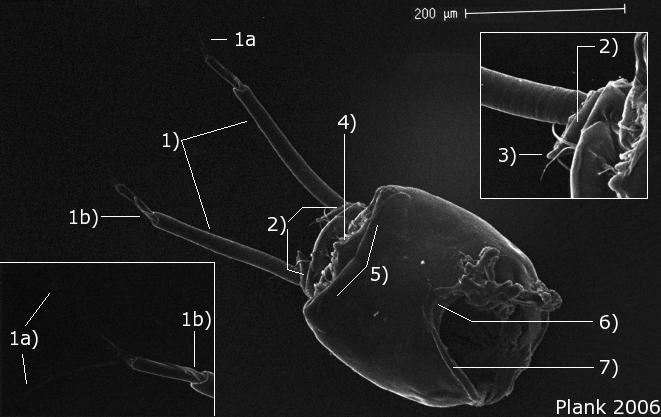 Here you can study some details and the differences of larvae of the subfamilies among the Chironomidae. 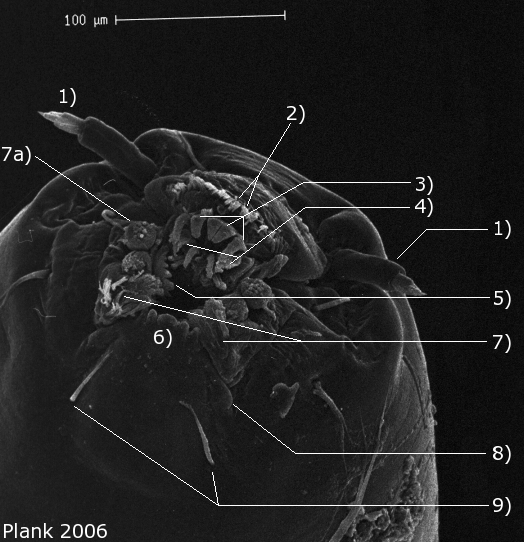 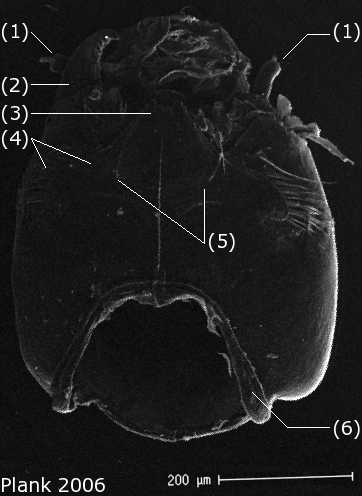 Note the strong beard next to the (4) ventromental plates; (1) antenna, (2) mandible, (3) teeth of mentum, (4) large ventromental plates with strong beard, (5) submental setae, (6) postoccipital margin. 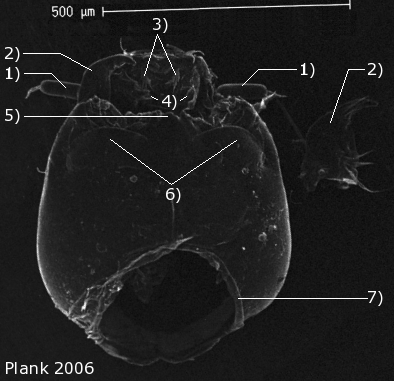 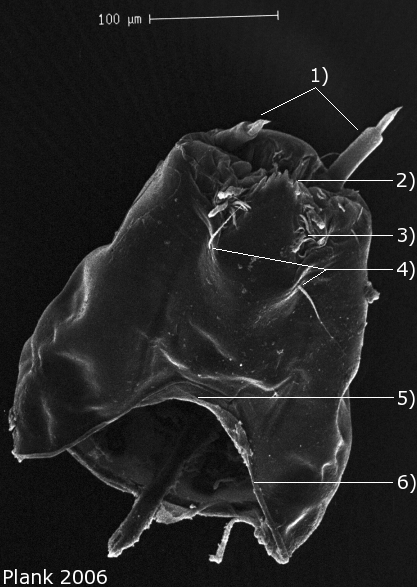 (1) antenna, (2) teeth of mentum, (3) strong beard, (4) submental setae, (5) postoccipital plate, (6) postoccipital margin.